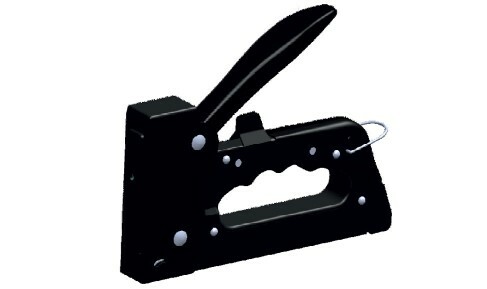 Durable light weight 3 functions staple gun for Tacking and Nailing. The base length gun tacker is 31mm and breadth is 182mm. INDICATES NAIL WITH HEAD AVAILABLE IN 12MM & 14MM LENGTH.